San Bruno native Emile Hons, general manger of The Shops at Tanforan, was an art teacher in Tonga in 1976 when Dennis Priven, a friend and fellow Peace Corps volunteer, carried out the brutal murder of Deborah Gardner. Priven, jealous over Hons' relationship with the 23-year-old science teacher who had rebuffed Priven's romantic advances, stabbed her 22 times before turning himself in. 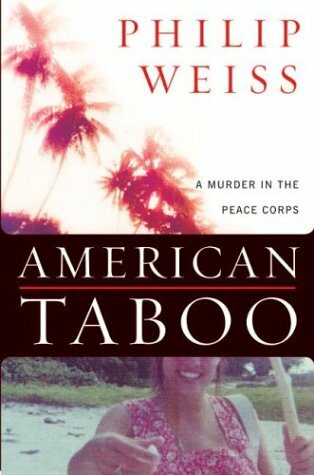 In the new book, "American Taboo: A Murder in the Peace Corps," author Philip Weiss describes how Priven went free after pleading insanity and the lengths the Peace Corps went to to suppress knowledge of the murder in the United States. Hons recently met with staff writer Malaika Fraley. Q. Was there any doubt who killed Gardner? A. I was at a movie that night. I had invited Debbie to go, but she had a weaving lesson. When I came home, two young Tongan kids said that Dennis had hurt Debbie. I didn't think it was anything serious, but when I got back to the hut, her door was ajar and the light was on. I pushed it open, expecting to see her, and all I saw was a large puddle of blood. Q. Had police responded at this point? A. No. I saw Dennis's backpack and his one flip-flop, his knife, the one he killed her with. There was a bloody handprint down the wall, and I think his glasses were there, all in the blood, and I was just in shock. Andthen a Tongan behind me said, "They took her to the hospital." I remember just coming out of my haze and locking her door, jumping on my bike and sprinting to the hospital. One of the villagers who took her to the hospital � I still know him, he lives here � ran to the hut and found her. He asked her if I did it, and she told him that Dennis did it. And then she told him to make sure she gets home, because I think she knew she was dying. Through a window at the hospital, I could see her inside propped up on a gurney. A policeman wouldn't let me in, but I figured she was still alive. Then I went looking for Dennis, figuring he was going to kill himself. Today, I wonder why I went to look for him, but at the time, I felt I needed to help another friend. We looked in several places and couldn't find him. Finally, we heard that he turned himself in. I went to the jail and they weren't letting anybody see him, but I knew a lot of the police and talked my way in. All I could say was, "Why?" And he said, "This just proves I'm insane." Q. You escorted Gardner's body back to her family in Washington state? A. Yeah, which shocked me, because I thought a Peace Corps representative would have done it, but they wanted me to do it. After I brought her body back, they flew me to D.C., where a bunch of lawyers interviewed me for quite a while. They were very upset at me, because I mentioned that I knew a good lawyer in the Bay Area that could maybe help Dennis. They flipped out, because they were trying to keep it quiet. It was election year, Carter and Ford. I know that Ford didn't like the Peace Corps too much, and I think they were trying to protect the program. They didn't want it to start a fire here. When I got back to Tonga, I went in to tell Dennis that the government also had me talk to his parents. And that's when he says, "I have this idea that will get me off. They will put me on trial, they'll find me guilty, and then you confess to doing it, and then they'll try you, and I'll confess..."
A. Yeah. The blood just rushed out of me. That was the last time I went to see him. I felt at that point that I was one of those chess pieces, as it were, one of his cards up his sleeve. Q. People in the book criticize the U.S. government for putting a lot of resources into Priven's defense and doing nothing for Gardner, who was also a Peace Corps volunteer. A. I have mixed feelings on that. Emotionally, I go both ways. But, technically, if you're working as a Peace Corps volunteer, you should be protected by the government. I felt he was insane and needed a good defense for two reasons. Tonga had no mental health facilities at all, they didn't even have a word for schizophrenic. They hung people, crazy or not, if they committed murder. There was no such thing as an insanity defense. Q. Explain how the deal that was worked out between the two governments after he was found not guilty by reasons of insanity. A. The Tongan government thought that they would be in charge of Dennis and put him in prison. Our government didn't want that, because it would generate negative press in the U.S. So they put together an agreement, a written guarantee that said as soon as Dennis hit U.S. soil, he would either enter a mental institution voluntarily or he would be forced to live in one until he was found healthy enough to re-enter society. But the agreement turned out not to be binding, and Dennis said he wasn't doing it. Basically, when he returned, he saw a psychiatrist a couple times, and the psychiatrist said he suffered a momentary psychosis. Dennis walked. Not only did he walk, but the government cleared his criminal record, which is shocking to me. It was like he was awarded special treatment, maybe to keep him quiet, who knows? Q. How did the people back in Tonga react? A. 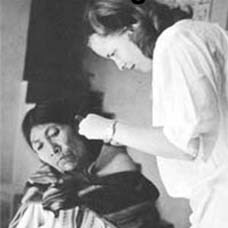 The Peace Corps volunteers were incensed because it soured the program. The Tongan people, they somewhat lost respect for the Americans. And maybe they kind of used it to say, "You're not so good after all, are you?" A lot of Tongans were told that Dennis was killed by one of Debbie's family members when he stepped onto the tarmac in the U.S. Whether that was a way of calming the Tongans down, I don't know, because that's what probably Tongans would have done to feel comfortable with. ... I think a lot of volunteers were bitter but still worked hard and still did a good job. But there was always a cloud over them. Q. 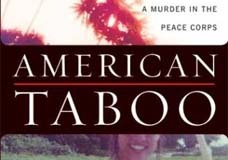 What do you hope comes from the release of "American Taboo?" A. The story needed to be told and the greater population needs to know about it. It's an injustice of the highest ranking, in my opinion. Not only did Dennis not get treatment and the government clear his record, he was put into the vast population of New York untreated. He could have killed someone else. Q. Are you hoping that Priven will be brought to justice? Do you think that's even possible? A. There's a senator from Washington who's looking into bringing this back to trial, or whatever. I didn't think it would be possible, because he's already had a trial, he's already been found not guilty by reason of insanity. As far as him not going into a mental institution, I think that's a dead issue. But evidentially, there's slight chance of bringing him up on murder charges. The senator says he's working on that, but it may just be hot air after "48 Hours" covered the story. I hope if something is brought up, that it's not just a waste of time. But more importantly, I hope it's not just hot air to get elected.